Subject: Contact Us Form . comments: Got B860B today. Very nice....I'm impressed. Have ordered online B4 from others. Looked like theirs was cast in bad mold, broken from said bad mold and sent to me. 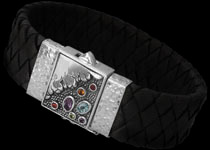 Your bracelet has intricate detail, a work of art...very nice! Dragon's heads, beautiful, thanks! Great service too! I have just received my second order from you (in as many weeks) and also your generous gift. I'd like to compliment you on the quality of your jewelry. It is my satisfaction with my first order that motivated me to my second order. The bracelets are absolutely fantastic. I am so happy with you that I had to let you know. I'm fascinated by the fact that you can deliver my purchases (from the other side of the world) far quicker than most merchants here in the states. Keep up the good work. Please accept my thanks. My neckless arrived this morning.It is beautiful.the invoice says 150.00$I thought the total was 172.00$.Either way I am very satisfied.thank you for the prompt shipping and attention to my order.I will pass your name to freinds and I will definitly do business with you again. Martin G. Bell fl. - U.S.A. Thank you for a very quick and efficient service. I am absolutly delighted with my new bracelet and was thrilled with the leather bracelet that was included in my parcel. I will most definatly be shopping with you again. Mary, just received my bracelet and it is just beautiful. I checked the stones under my microscope and every think is very well made. I received the new bracelet and ring on Monday and everything is beautiful and just great! Thank you so much not only for your beautiful jewelry but for your great customer service. Now it's time for me to find a new piece of jewelry from you! Got the item this morning. Thanks for the quick delivery! Keep up the quality in your products! I have told everyone that I know about your website and quality items. I just wanted to let you know I received the bracelet and ring I had ordered and they are magnificent! I am so glad I found your website and I cannot wait to give them to my partner on Valentine's Day and to continue shopping on your website! Just wanted to let you know that the dragon bracelet arrived today! Thank you so very much for the prompt delivery..
Am thrilled with not only that,but the bracelet AND the packaging also! Mary! Oh my Gosh! The best thing ever was me not getting what I expected with the first Rose quartz ring. The replacement pieces have impressed me so much that I've put them on and think I'll be showing them off for awhile. My way of saying "I Love Them!". Thx again and you have a customer for life. I received the bracelet and it is absolutely wonderful! I was very impressed how fast it was delivered, thank you very much! Your jewelries are exquisite! I recieved my necklace (Mens Jewelry: Sterling Silver Link Necklaces N330a Barrel - 12mm) and a I am just blown away, Top quality, little price. p.s. 6 Day's from Aus. to my door in Germany. Just wanted to tell you that the ring arrived and I gave it to him yesterday! It was beautiful! And the stone, the stage lights are going to make the fire in the stone really dance. I'll send you a picture of him on stage with it on as soon as I get one. This was so worth waiting for! He loves it so much, he has a lot of jewelry, both gold and silver, but this is his favorite by far. comments: I just want to say thank you! I received my order yesterday and it is perfect! 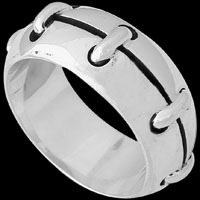 I had been having an amazingly hard time trying to find silver cuffs until I happened upon your web-site by chance. The quality is excellent, Unbelievable selection!, the service via the internet, excellent, and the shipping via fed-ex flawless. I can't thank you enough as this is a gift for my son, who is soon to be my best man at my wedding! You have a customer for life. I got the citrine ring today. The fit is perfect and it is BEAUTIFUL. I also want to complement you on the energy in the ring. I could feel it right away:) Thank you and I will be retruning for more jewelry in the future. I wanted to tell you that we received the jewelry and we absolutely love it. we will definately buy more in the future. My rings arrived and I have but one word, FANTASTIC. Amongst the order was a plain silver band, beautiful in its simplicity. Thank you. I am sharing praise and your email address with a number of my friends. Received the pendant today – I love it. Great work :o) It was fun trying to get through all the packaging, it felt like Christmas!!! Thank you so much for all the work and help throughout the process! I just received the sterling silver dragon bracelet today that I ordered. VERY cool. I looks even better than in the picture. Very detailed and intricate craftsmanship. An excellent piece of jewelry. I will definitely be recommending you to friends and family. And the service was outstanding also-Australia to Texas in less than a week, from the day I ordered to my doorstep. Thanks again. Thank you. Yes we received the order and it is perfect. Thank you so much. The young man that will be receiving this gift will cherish it for a long time. Thank you for your prompt attention and excellent and professional business practice I have experienced with both of my orders with Anixi Silver. I am most impressed with the product that Anixi Silver has to offer. I an extremely hard to impress and you have succeeded in this respect overwhelmingly. I mean this whole hearted and I thank you again. The quality is the finest that I have found in quite awhile, actually never so fine in hand crafted silver. Also, thank you for the Promo code that I have requested and the 5% off my last order, I respect that immensely of you and your company. I will be ordering once each month and look forward to the business I intend to do with Anixi Silver. I just got my ring today and I absolutely love it! It's hard to find rings that are 14.5 in size (I wear it on my index finger) but to find one that's so beautiful and it fits, what a treat! I will be checking out some of your other designs as well. I received my bracelet. It is perfect, looks nice and fits great. WOW, I got my bracelet and it is absolutely gorgeous. I could not be more pleased with the quality and craftmanship. I am the envy of everyone at the school where I work. Thank you very much. I received my order and it is exceptional. I plan on making many other purchases with you in the future. 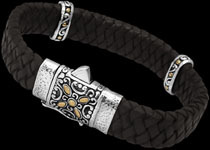 Mary, I just received my men’s bracelet and it is fantastic! I buy a lot of merchandise online and I have searched the web for a bracelet that was unique, and yours was everything I hoped it would be, especially since I am a large man I needed a bracelet that would not look small. I will definitely be buying from you again. Hi. I received my order today and just wanted you to know that this bracelet is GORGEOUS! Thanks for your help! I bought the ring for my husband's wedding band. Our wedding was Sunday and he couldn't have been happier with it! I recieved the lapis ring that I ordered. WOW. I truely love the ring. It is so beautiful. I am afraid to wear it outside my home. 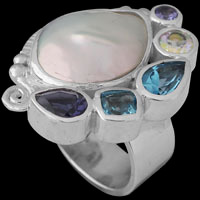 Several of my friends have all express desire to have a lapis ring and have been looking for a long time. All of my friends will be jealous of my lapis ring. I will have to tell them about Anixi website. I will tell them next............... month. I received my ring today and it is absolultey beautiful. Thank you so much! I received it on Saturday, March 29th and am completely delighted with the quality of the piece. Thanks so much! I received the ring and I love it!!!!!! I am looking forward to getting the next one from you guys this week? I just want to thank you for the beautiful ring that arrived. It is exactly what I have been searching for, and it arrived professionally and quickly. I will definately be purchasing from you again soon. 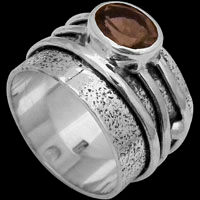 Dear Mary, My wife absolutely enjoyed and was thrilled to receive her Heidi K Smokey quartz ring for Christmas. I wanted to let you know this is her fourth Heidi K ring and probably the one she enjoys the most because of the color. I am so glad you had some in stock because I couldn't find any local store who had any in stock. I had been looking for 6 months and finally hit your website and was astonished. If you get any more Heidi K rings in or something very similar please let me know and I will probably purchase more from you. Again, thank you for having the ring in stock you helped me make my wife's Christmas very special. I did receieve it yesterday and I love it. Thank you so much!! He is also very happy with it. Once again excellent quality. Look for another order from me in the near future as I will need to replace the necklace I bought for him last year that was destroyed. I am hoping to do that next month. I have just received the ring today, and I'm very impressed and satisfied! The ring is very beautiful indeed, and I appreciate the work you have put into it! I'll be sure to come back for further shopping! Hi Mary, My ring came today!!!!! It's gorgeous!!!!!!!!!!!! Thank you for such wonderful customer service!!!! I JUST RECEIVED THE BRECELET AND NECKLACE I ORDERED. IT IS WONDERFULL. THE QUALITY IS EXCELENT. THANK YOU VERY MUCH FOR YOUR PROMPT SERVICE. I WILL BE SHOPPING WITH YOU AGAIN IN THE FUTURE. 1. The quality of your product is outstanding (Great Craftsmanship, materials and Design). 2. Your Customer Care was outstanding when I asked for assistance when it came to determine the size requirements. 3. I was shocked at the speed and accuracy of your order processing and delivery system. 4. I will definitely refer many people to your web-site, which by the way is very user friendly. It is very seldom in today's world to find a Company like yours. Congratulations and feel free to use any of the comments above for your P.R. earrings, too. What a nice surprise. Dear Mary and Phillip, I just received the bracelet and the ring. I found them both beautiful and wonderful in quality. The bracelet is a gift to a male. Cannot wait to see his reaction. I look forward to ordering again soon. Hi-I received the peridot choker, ring, and earrings on Jan. 22. They are beautiful and I'm very satisfied with them. The workmanship on these pieces is excellent and I refer people to Anixi jewelry when talking about these pieces. The earrings were lovely also; I've got them on today and have already gotten a compliment on them. Thank you so much for your talent, excellent service, and friendliness! I will pass the word around on your website and have already been showing the bracelet off to rave reviews. Thanks again! Just a follow-up note: I gave my boyfriend the bracelet and he LOVED it; I overheard him saying to his best friend, "Isn't this bracelet great? I absolutely LOVE her!" (meaning me, I presume) So thanks again, Mary! makes silver jewelry, and she was impressed. Australia, and having it show up in New Jersey a week later, huh? so I was delighted to find yours. beautiful. It looks exactly like the one featured in the web site. I am looking forward to new creations. I will keep your site bookmarked. Got the ring today. I love it. What a beautiful stone. This is a "for me" present - a rare thing! Thank you for the lovely wrapping and excellent service. One other plus for me is that I am allergic to gold and am really happy to find such a nice ring in silver. I just wanted you to know I got your pendant (blue topaz/moonstone) a few days ago in North Carolina USA. I was more than pleased with not only the beauty of the item itself, but the packaging and the speed with which it was sent. Thanks so much for the care with which you do business, and take care...I will be a return customer, and I've had numerous comments on the pendant even so far. Hope you have pple. ordering because of it. I just love your jewelry, it is beautifully made and unusual. Your delivery service is nice and quick too. I have just received by beautiful peridot bracelet and nail ring. 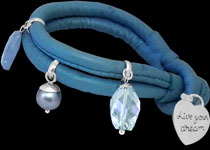 reliable delivery service and beautifully made jewelry. I truly love the bracelet and the ring. They were indeed worth the wait. Thank you. I wanted to say we got the new chain and love it! It's been good doing business with you. Keep up the good work; we'll be back! Dear Mary, I would just like to comment on the necklace and pendant that I purchased from you. It is absolutely beautiful. I have received many compliments on it. Thank you very much....and keep up the beautiful work. for the prompt service and the quality of your product. hi Mary, I just received my order today & I am very impressed with it! ...but then again I already knew I would be based on your website. You have some very nice jewelry. You'll probably see another order from me in the very near future. had to open her presents while we were on the phone. something that would make more of a statement. And, she had looked at topaz. That our friend was thrilled is an understatement. be including a card about the qualities of the stone. That was a very fine kindness. I will certainly spread the word for any friends/associates interested in silver, and will also certainly look to you for additional pieces for myself. I just got the bracelet in the mail. It is so simple and elegant, I LOVE IT! Thank you so much. The earrings were a lovely surprise, I'm wearing both at the moment. I love your site and will look to it in the future. Keep up the great work. Thanks for everything. Mary, Just wanted to let you know I received my ring yesterday. Thank you so much. It's incredible. Just stunning. You did a beautiful job. And thank you for the gift of earrings, certainly not necessary and greatly appreciated. your jewelry!!!!! It's habit forming. others about your site already after they saw the necklace I bought. Everyone has said it is very unique. Thanks again. Earrings arrived today. They are beautifully made and were very well packaged. I am very pleased with them. so I had to buy her the matching bracelet for her birthday. Thank you! The bracelet was exactly what I wanted. I was so glad to find such high quality for the price. I can't wait to see the look on my boyfriends face when i give it to him. He has a similar one that his parents brought him back from England, but this one is much nicer! Thanks for the wonderful customer service. I just wanted to thank you for the promptness of the delivery of my necklace. You mailed it on Thursday and I received it on Monday here in the U.S. It actually arrived here quicker than some of my mail from the states. The necklace is beautiful. Like nothing I have seen over here. My wife was so impressed she wants to see what you have for her. The package has just arrived. Just 4 days in traveled nearly around the world. It was truly worth the wait. I absolutely love it! Thank you so much for the little earrings - I have just put them on. The pretty little package and all. Thank you for all your help and making such a lovely ring that we will have forever. I asked for the amethyst bracelet (the one in squares) for my birthday this year. I was thrilled when I received your shipment today, Saturday, October 19.
seen anything like your jewelry locally and your prices are great! You are a true artisan. Thank you so much for the prompt shipping. You may be hearing from me again before the holidays. Shipment was timely and the bracelet is gorgeous and was affordable. My boyfriend will be thrilled with it, as he's picked up similar styles but the quality is always poor. time! Have a wonderful holiday! service was top notch. I'll definitely order from you again in the future. and your packaging was beautiful too. I am so excited. My husband and I have been married 10 years on the 12th of February, and co incidentally, my 55 birthday. He can not wear gold and is very fond of silver. I spent 3 days shopping in St. Louis for a really nice bracelet, which he will wear. I came up with nothing and as a last minute effort, went to the internet, and bingo, there you were. Your page is great. This is such a classy bracelet! I am having so much fun with this. I really do believe he will love wearing it as much as I will love having shopped so hard for it, and there you were Anixi! Thank you so very much for having that webpage! As I said, I spent 2 hours looking at every web page for men's sterling silver bracelets...I kept coming back to Anixi every single time. I just quit cooking dinner, took every thing off the stove and ordered it....figured if I looked at that many other web pages, and kept coming back to Anixi, you must be the winner. Thank you so much for making my 10th wedding anniversary very special for me. I have been meaning for DAYS to email you. The bracelet is awesom! My husband has NEVER taken it off. Everywhere we go, people comment on it. It arrived here on Monday the 10th of Feb. and I was able to pick it up Tuesday the 11th at the postoffice. Wednesday the 12th, was our 10th anniversary and my birthday too. It was incredible to have received it from you in the nick of time. I had already prepared to put a picture of it from the internet in a card until it came. I do so appreciate your great quick help on that but more than anything, I appreciate the craftsmanship of the bracelet. You are truly a gifted designer and I hope to continue to order from you in the future. Please please don't give up the web page! It is just awesom. Thank you for the update on my order. Actually I received it yesterday. I don't usually make comments, but I have to tell you I was REALLY impressed. The pieces I bought were even more beautiful than they looked online. In addition, the quality was just unbelieveable! I have purchased bracelets for my husband in the past, but he has lost every one of them. Either the clasp doesn't hold, or they break. They just haven't been very well made. 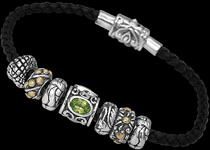 I purchased the braided sterling silver bracelet for him from your online store. The price was very reasonable so I thought I would take a chance again. I could not believe it when I opend the package yesterday. It is very strong and heavy, very masculine looking. In addition, it is SO well made! It looks GREAT on him! I told him if he ever looses this one, I'll be really upset. It is by far the best piece I have ever given him. I love it, and I love all the pieces I got for myself as well. 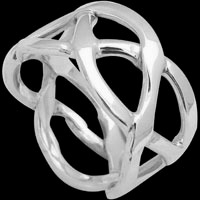 I will definitely be buying all my silver jewellery from your web site from now on. Thank you so much. You do beautiful work! I recently made a purchase from your online store for my girlfriend's birthday. in which to buy other jewelry from your site. Thank you very much. I received the package, just in the nick of time.Ii actually went to the post office to pick it up Friday morning. It is beautiful!! I am truly amazed at your work. And the fit was perfect! You really saved me! Vic, my husband, loves it & never wants to take it off. It's adorable. I greatly appreciate all your efforts to get this to me the way you did. It made my weekend and was one of the best anniversary presents yet. You made a difference in our world, Thanks again! with you again and will recommend you to all my friends. Received necklace and bracelet today. Beautiful items they are a credit to you. Thank you for your help I will recommend to my friends. Keep up the good work. Thankyou so much for the Bracelet and the ring. I received them today (Tuesday) They bracelet is simply stunning, it looks amazing and the ring is also beautiful. Thankyou so much for everything. I will most definitely be ordering for your wonderful web site before Christmas. absolutely loves it and I couldn't be happier with the entire transaction! beautiful jewelry with the world! Thanks again Mary! Happy Holidays! Are you kidding?!? I got the necklace and earrings, a several days ago - I'm even sitting here at work, WEARING them! I like the jewelry a lot. VERY nice stuff. I'm like a walking advertisement for you & your work. I'm glad I stumbled upon your website and placed my order with you. Thank you - very much. I received my order yesterday, and I love the earrings you gave me. and I thank you so much for this gift. And Mary, I am once again grateful that I deferred to your judgment. convince my wife I need a matching necklace. Just a little note to say thanks for the delivery and the leather band is truly superlative.